Exercise Room, Garden, Park, Pool. Large Open Gathering Space, Open Porch(es), Outbuilding(s), Outdoor Living Space, Outside Shower, Security Gate, Shaded Area(s), Sunny Area(s), Swimming, Terrace. Hills View, Open View, Panoramic, Swimming Pool View, View. 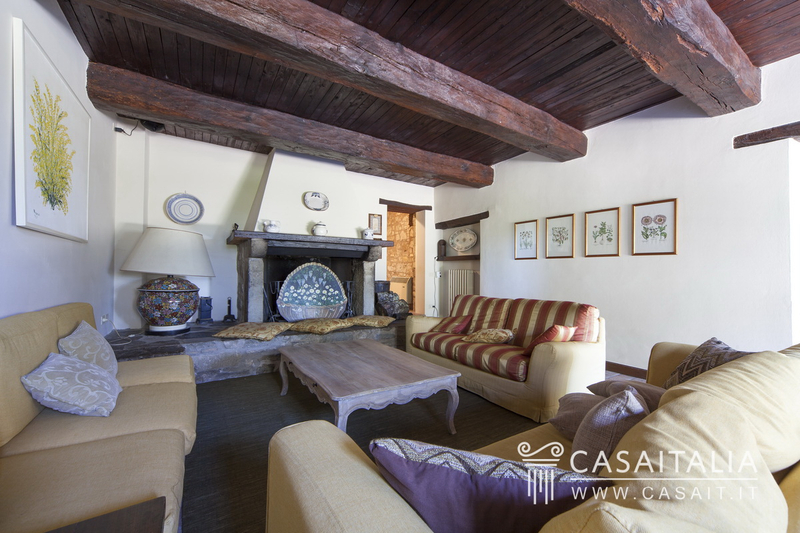 Estate comprising four restored farmhouses used as a resort, a wellness area with indoor pool, a large meeting room, an annex/storeroom and another outbuilding with two stalls for horses. 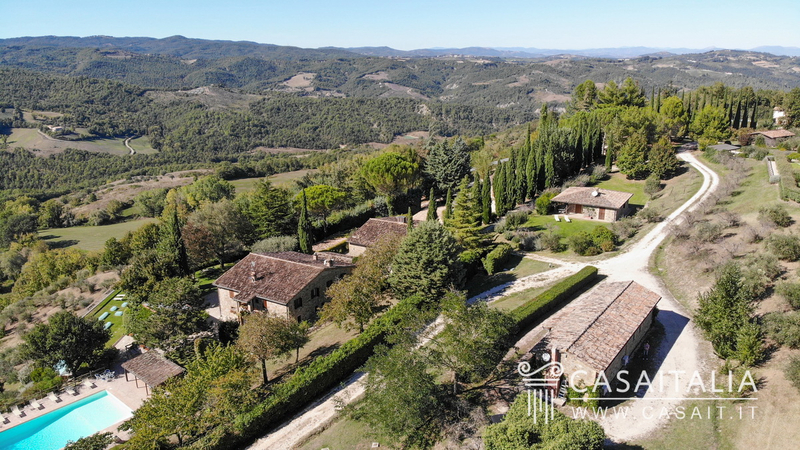 Surrounded by 11 hectares of private land with a garden and pool area around the buildings, 4 hectare olive grove, 4 of arable land and the rest with woods and pasture. Geographic position Umbria Wellness and Country Resort is situated in the Monte Peglia natural park, an unspoilt area rich in natural beauty. 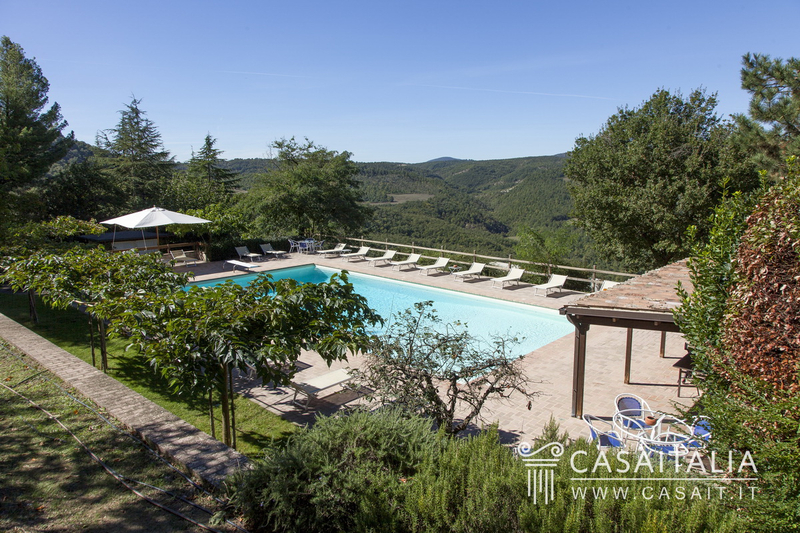 The houses fit into the area perfectly, blending in with the lush plants in the garden and surrounding olive grove. 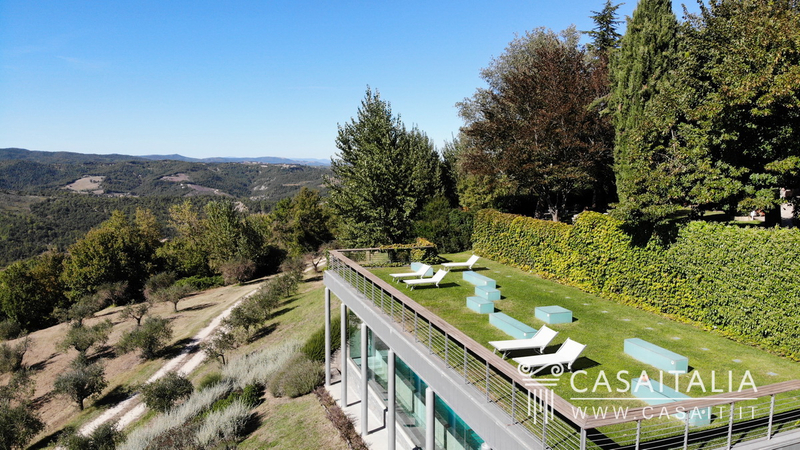 It is in the hills, 600 m above sea level, overlooking a pretty valley filled with woods, fields and old farmhouses, around 13 km from Todi, around a quarter of an hour’s drive, and three quarters of an hour from Orvieto (32 km) and Perugia (52 km). 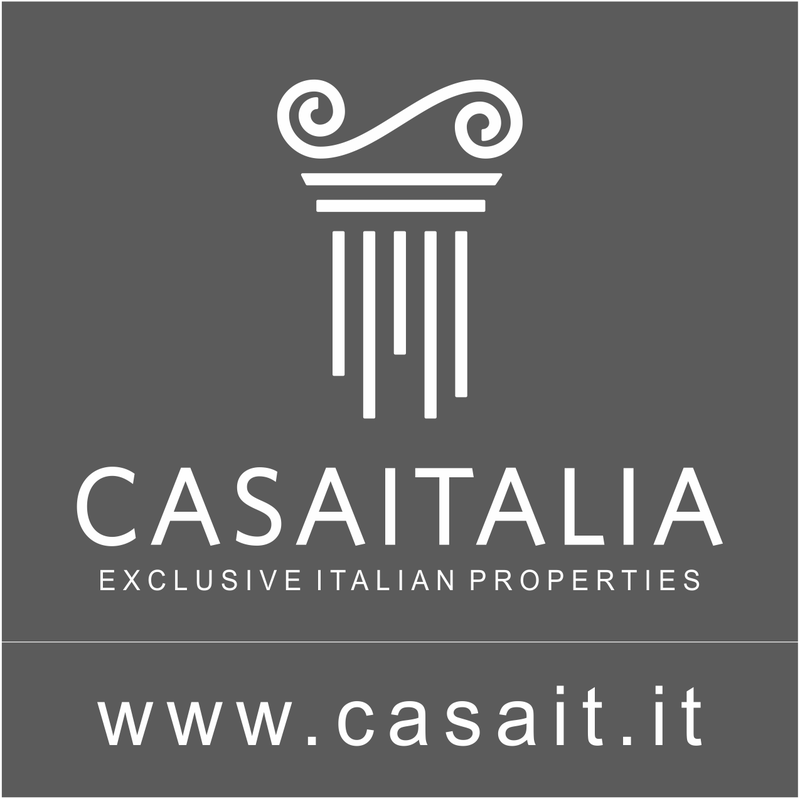 The nearest airport is Perugia, 50 km away (less than an hour’s drive), while Rome Ciampino and Rome Fiumicino airports are 158 and 175 km away respectively and are around 2 hours’ drive, thanks to the E45 motorway junction just 14 km away. 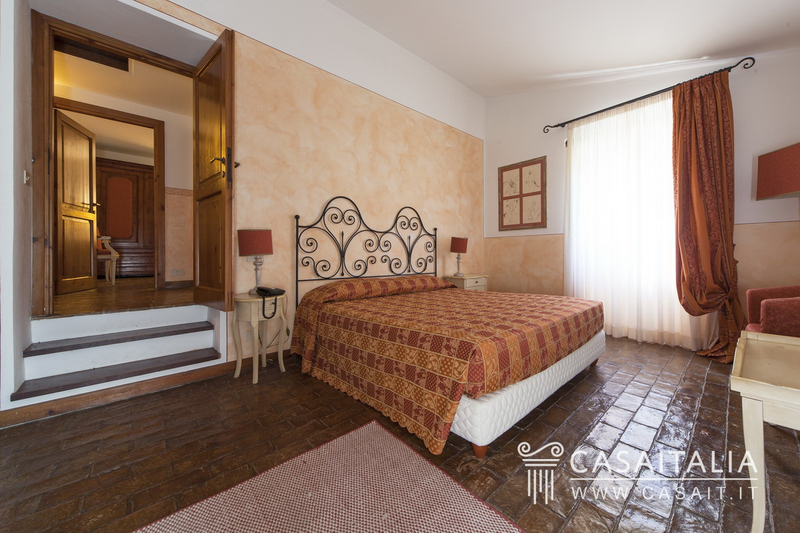 Description of buildings The property comprises 4 restored farmhouses, a wellness area with indoor pool, Turkish bath and massage room, a large meeting room, an annex/storeroom and another outbuilding with two stalls for horses. Farmhouse 1 - around 761 sq.m in total - 10 bedrooms This is the main house. Inside there is a reception area, the restaurants, the professional kitchen, a large storeroom and 10 bedrooms with ensuite bathrooms: five of the bedrooms are on the first floor with indoor access from the communal areas, while the others have a separate entrance from the outside and two benefit from a large shared terrace measuring around 40 sq.m. 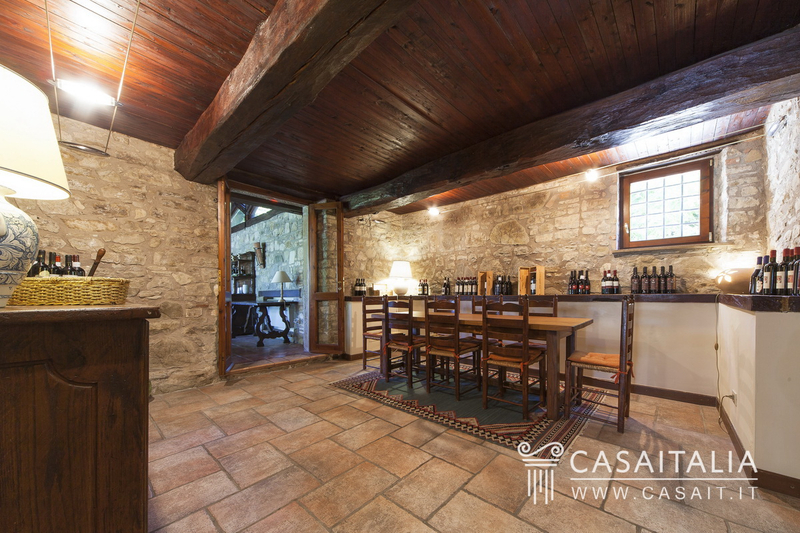 Farmhouse 2 - 96 sq.m in total - 4 bedrooms Next door, and a natural continuation of the main house. Has four bedrooms with en-suite bathrooms, all on the ground floor. Farmhouse 3 - 40 sq.m in total - 1 bedroom This is a little single house, comprising one bedroom with bathroom. Farmhouse 4 - 83 sq.m in total - 2 bedrooms With just one floor, has a living room with kitchenette, two bedrooms and two bathrooms. 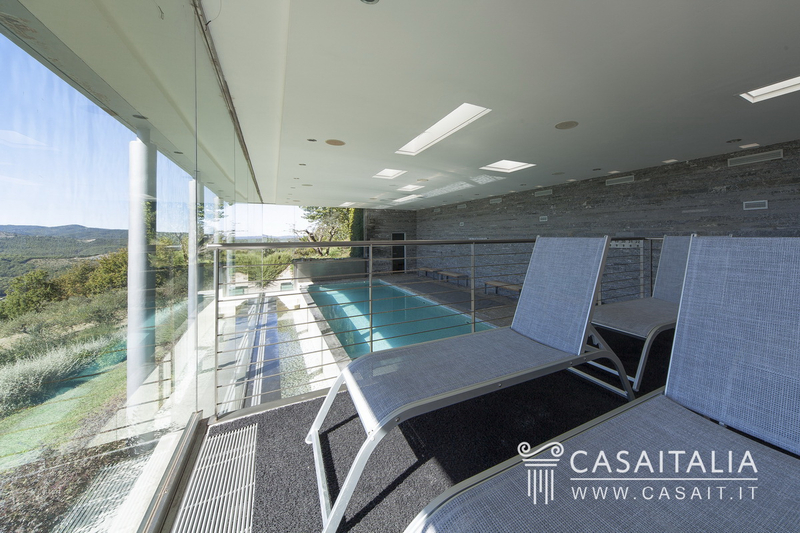 Wellness Area – 325 sq.m Situated inside a new building with two floors, in a secluded and panoramic location with a beautiful view of the green valley below. The ground floor, measuring around 167 sq.m in total, has 3 walls with floor-to-ceiling windows and is home to the attractive solarium next to a heated indoor pool, with spaces for hydromassage and an orthopaedic walkway with pebbles, and the Turkish bath with aromatherapy and colour therapy; On the floor below there are the changing rooms, the showers, a massage room and the utility areas. The Meeting Room - 200 sq.m This building is also new: it has one floor and measures around 200 sq.m in total. 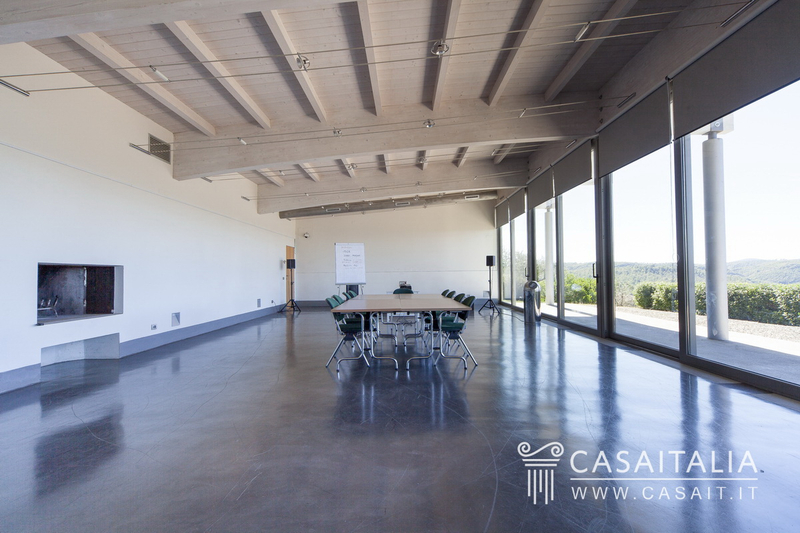 It is divided into a large room with a fireplace, measuring around 100 sq.m and ideal for meetings, conferences, classes or exhibitions, with two large storerooms at the back and 3 bathrooms. The main wall, which, like the wellness area, overlooks the valley, has floor-to-ceiling windows with blinds that can be completely or partially lowered as needed. Annex 1 - 77 sq.m Built on one floor, inside has an area for equipment storage, a large ironing room, a men’s changing room, a women’s changing room and two storerooms/closets. Annex 2 – 44 sq.m Also with one floor, made of wood and houses two stalls for horses and an area used as a saddlery. The property also includes: - A pergola measuring around 90 sq.m, in front of the restaurant area and ideal for open-air dining - A covered area with bar, between the main house and the pool, around 25 sq.m in total; - A changing area next to the pool, around 33 sq. m in total; - A covered parking area behind the main house, around 56 sq.m in total; - A covered parking area at the entrance to the property, around 180 sq.m. In addition, it would be possible to build another 7 small villas measuring 129 sq.m on the property's land, for accommodation/production purposes only. State and finishing The farmhouses used as accommodation have been restored preserving the architectural features typical of rural buildings in the area, with exposed stonework on the exterior and tiled roofs. The new buildings, which house the wellness area and meeting room, have a contemporary design and blend in perfectly with the surrounding area thanks to the large floor-to-ceiling windows. 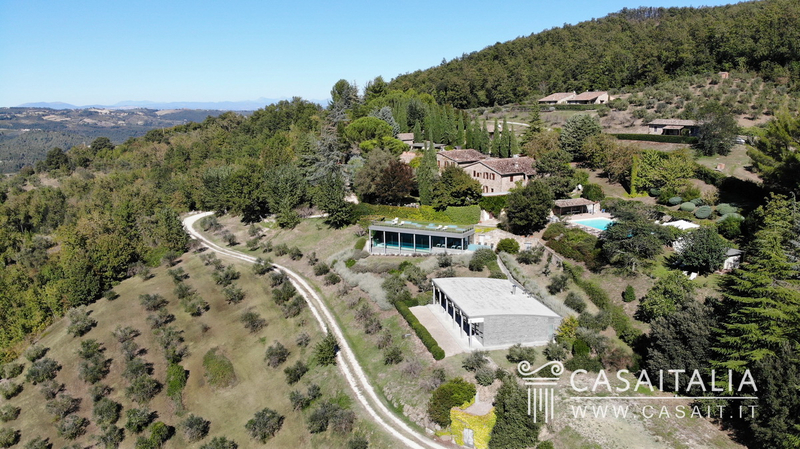 External areas The property includes over 11 hectares of private land, with around 1 hectare used for the garden, courtyards, little squares and communal areas for the hotel, around 4.5 hectares of olive grove, 4 hectares of arable land and the rest with woods and pasture. Use and potential uses Umbria Wellness and Country Resort is an ideal property for those looking for a hotel business, ready immediately in one of Umbria’s most popular tourist areas: surrounded by unspoilt nature, yet only a quarter of an hour from Todi and less than an hour from Orvieto and Perugia. The restaurant with its industrial kitchen, the wellness area and the large meeting room mean the resort, which can be used right away, offers a great many opportunities for the development of the business.